Everyone likes carrot cake. Everyone. If you met someone that says they don’t, well, they haven’t had it or aren’t really your friend. With that said, I hate to admit that I had never attempted to make one myself. I know… the shame! 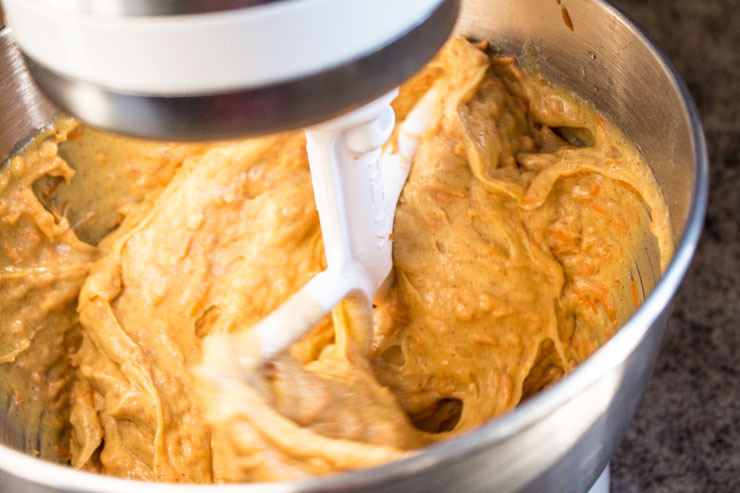 I’ve always loved the bit of sweetness in the frosting balanced perfectly with the carrot and spices. Although, to me, it creates a very autumnal experience, there are some mornings when you wake up just wanting to have that exact taste right in front of you. Preferably covered in frosting. Everything is better covered in frosting. 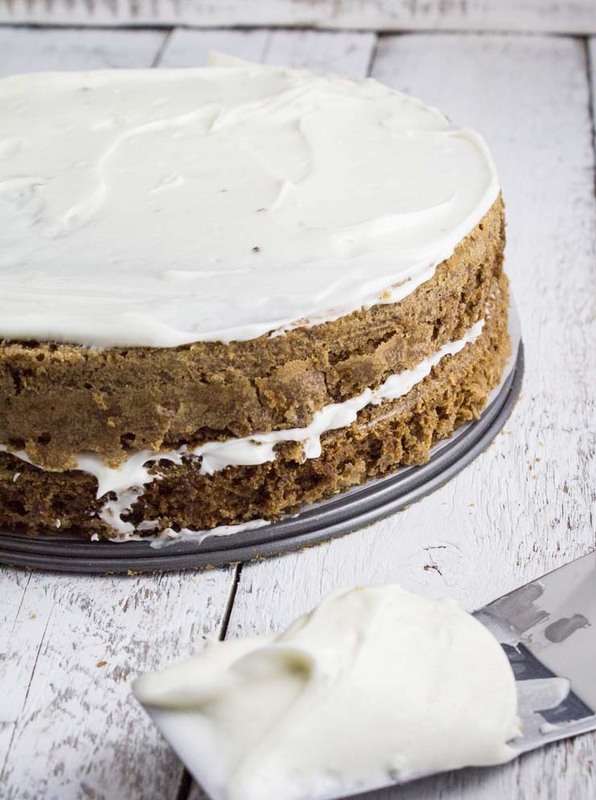 This is a fairly traditional carrot cake. Cinnamon, shredded carrots, sugar… you get the drift. Typically, nuts (walnuts) are added to the cake batter and then used to decorate the as well. While I did this (who doesn’t want more walnuts?! 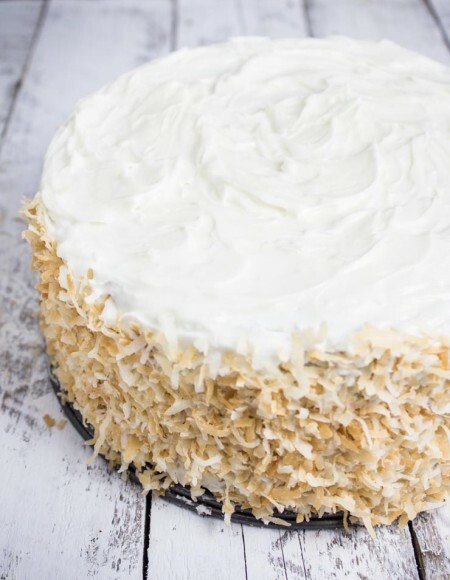 ), I also decided to add a bit of toasted coconut to the lateral ends of the cake. I have been obsessed with toasted coconut this year. 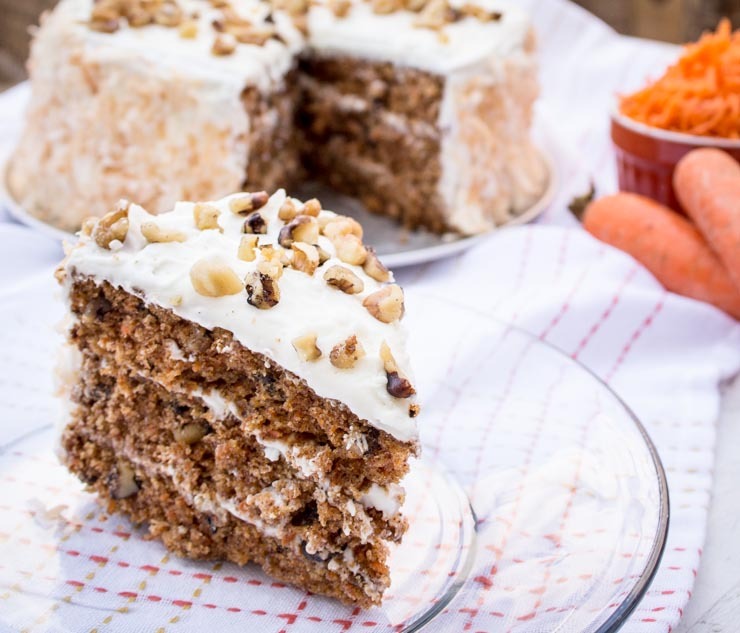 You can’t make a proper carrot cake unless it is in layers. I wouldn’t trust a single-layer carrot cake. Although, I am sure I would have to give it a thorough taste test. It just wouldn’t be right. Sorta like eating school cafeteria pizza without ranch. You get me? I thought so. A crumb coating is what will save you hours and hours of tears and frustration when baking cakes. It’s simply a thin coating of the frosting you will use to coat the cake, cooled (I chill mine for a full hour) and then a clean, pearly white layer is applied over it. It will leave you with a smile and a beautiful cake. Who wouldn’t want technically two layers of frosting anyway? Ice, ice, ice this baby up and decorate it however your little sugar-coated carrot-loving heart desires. Walnuts, coconut, sprinkles… who cares. Baking someone a cake is an act of love. You could probably throw rocks on top and people would still enjoy it. This cake is basically considered a vegetable. One of the most important food groups of the day. Doctor’s say that. It must be true. So, enjoy and go share! 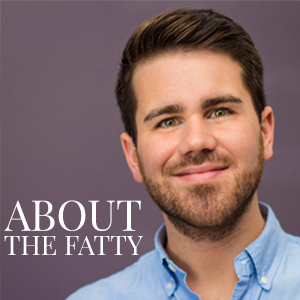 16 ounces cream cheese, room temp. Pre-heat oven to 310 F.
Combine sugar, oil, eggs, carrots well in mixing bowl. In another bowl, sift together dry ingredients very well. Mix wet and dry ingredients together. Add walnuts and coconut. Pour into three 9-inch round baking pans that have been buttered and well-floured. Bake cakes for 40-45 minutes, until knife comes out clean. Cool COMPLETELY in pans before removing. Carefully remove cake from pans. Apply layer of frosting between layers and stack. Add thin layer (crumb coat) on top and sides of cake. Enjoy! Visit SouthernFATTY.com for more. What is your favorite veggie-turned-sweet dessert? Let us know below! Love it! I haven’t made this one in a while. Need to bust it back out! Hello, Friends! 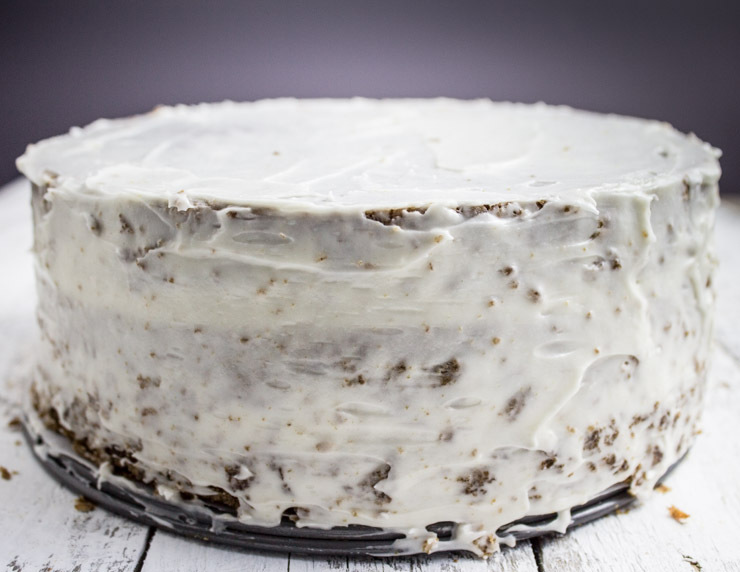 How do you think, can a make this cake with flaxseed eggs? I don’t have any experience with flax or chia egg replacements, really. From what I’ve seen, you should be able to. A cake isn’t as finicky as some baking recipes. I’ve heard that you should start with whole flax seed, grind/muddle it yourself, add the water and then chill it for it to get the appropriate binding. Give it a go and let me know how it works! I’ve made it today with 3 flax seed eggs 🙂 Georgeous!!! Really delicious, not heavy or too dense, absolutely wonderful cake 🙂 Thank you for this yummy recipe! I absolutely LOVE carrot cake. I’ll pin this to make it for a special occasion. Thanks, A! I’m addicted now. BUT. It’s totally a vegetable, so it’s ok.